Developed in 2009 in conjunction with NETS with it's the launch of the FLASHPAY card, and Punggol Pasir Ris Town Council, CWB developed the multi functional COMBI DISPENSER. - and also allows for Top up of Cash-Card, Flashpay and the GB cards. The Combi Dispenser also allows controlling dispense and payments functions up to 5 different vending add-on's. The initial vending option deployed across all MSCP's Car washing Bays in Punggol Pasir Ris Town Council was for Water and Vacuum. We currently have over 130 Combi Dispensers installed in Singapore. If you are a vending machine provider looking for 1 payment module to control multiple vending machines, our Combi Dispenser may be the ideal solution. 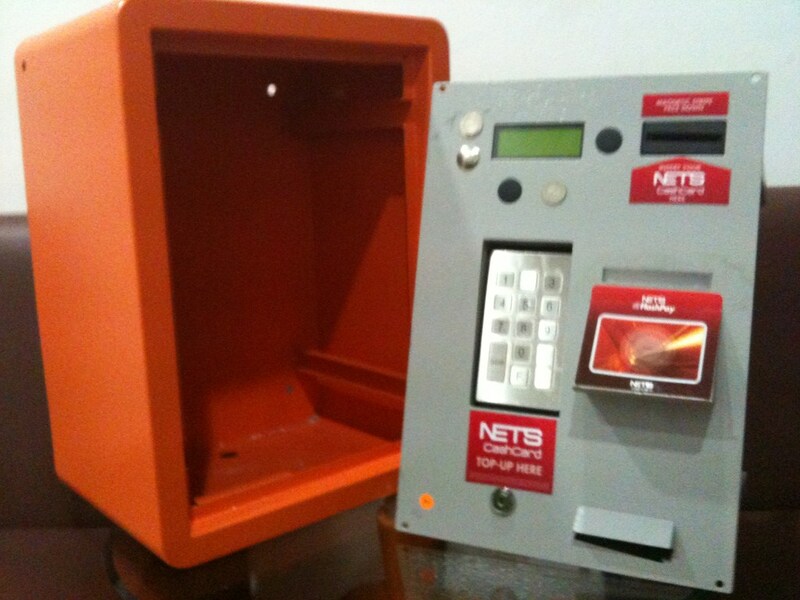 We are also able to custom fit all our components into your Vending Machines or custom make a Kiosk for you. Simply fill the Contact us form with your details and requirements and we'll get back to you with a solution in no time.